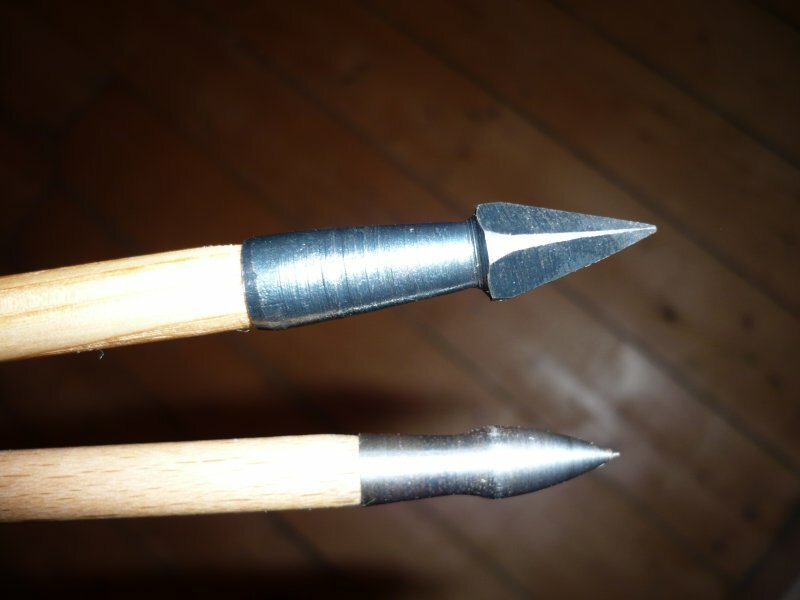 This is the fun bit, with pointy shiny things at the sharp end! 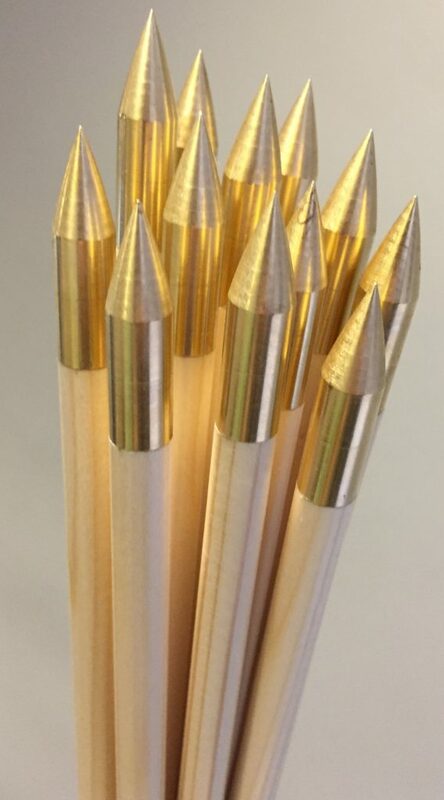 Field points come in either aluminium, steel or brass, with weight ranges from around 30 grains for aluminium 3D points, through to 125grains in brass or steel and pretty much everything between. 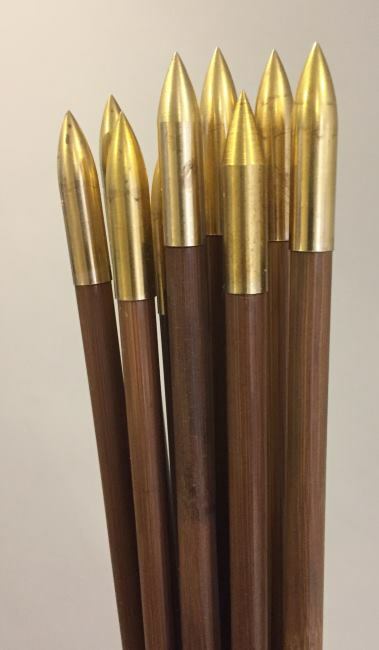 The size range starts at 5/16″ and goes up to 23/64″. 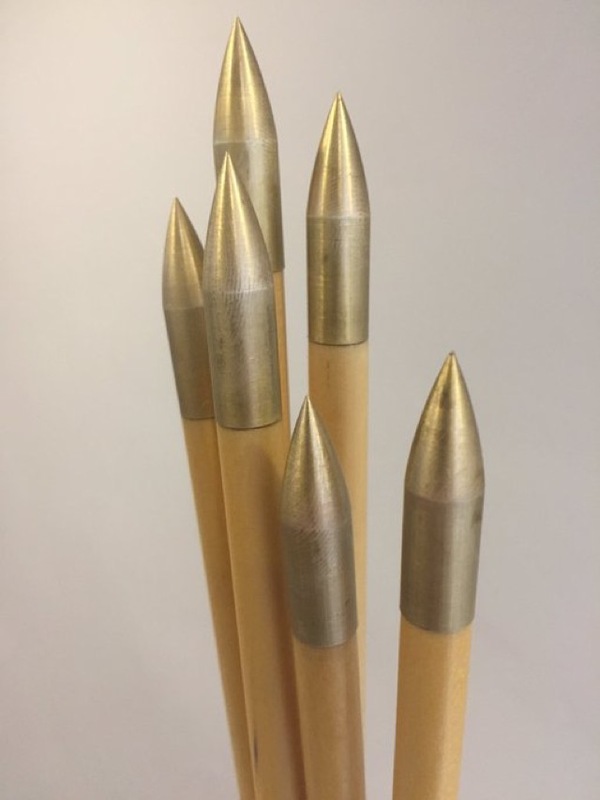 Target points come in a wider size range, starting from 1/4″ and ranging right the way up to 3/8″, with weights from 20 grains to 180 or more. 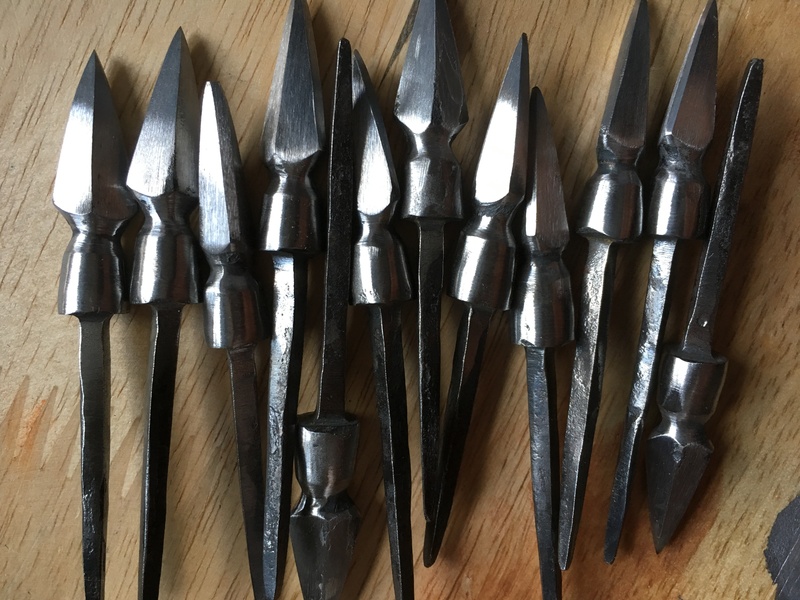 We can also get some extremely sharp copies of the Victorian type 5 target pile, though these have a tendency to turn into interesting fish hooks if you’re not extremely accurate with them. 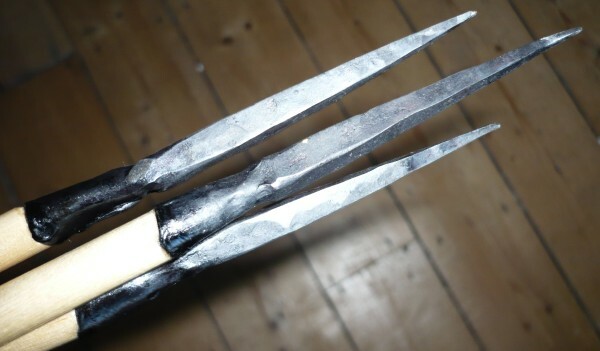 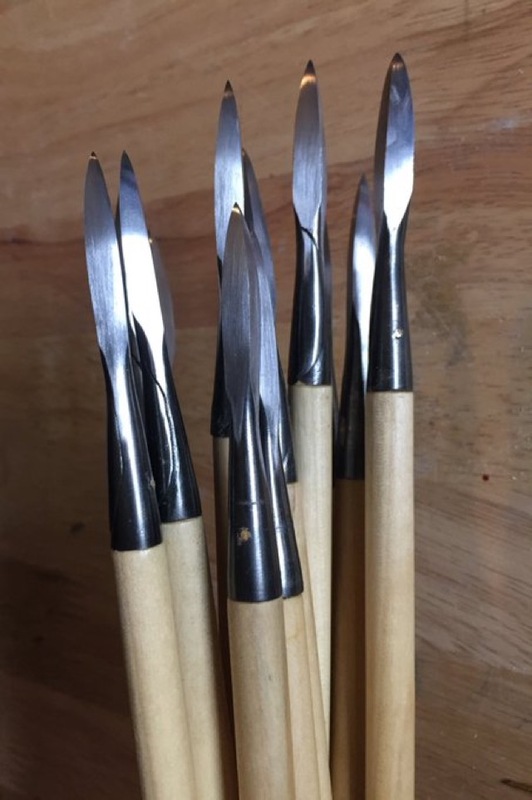 Machined bodkins also come in a wide range, from lovely steel curved heads with tight manufacture tolerances, through to rough and ready medieval copies, often slightly less well matched. 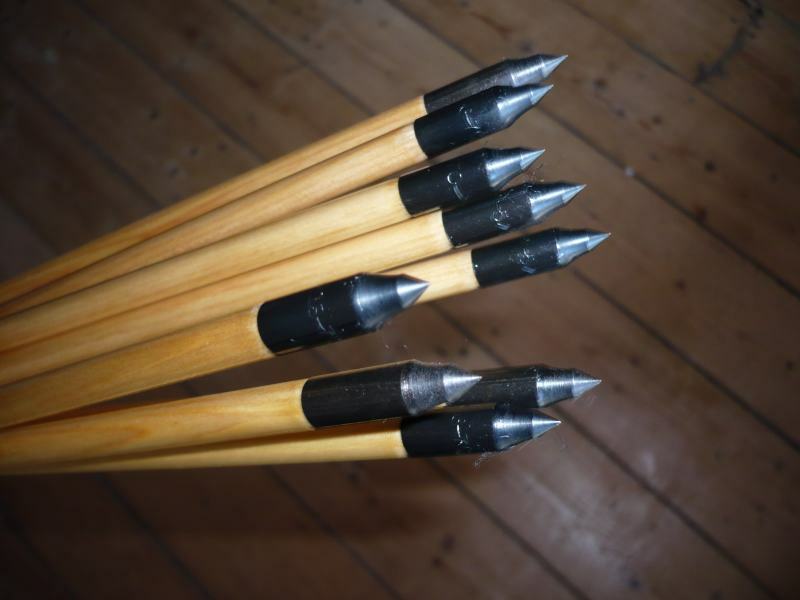 Drop forged and moulded piles come in a variety of shapes, including a full range of broadheads like the swallowtail and the type 16. 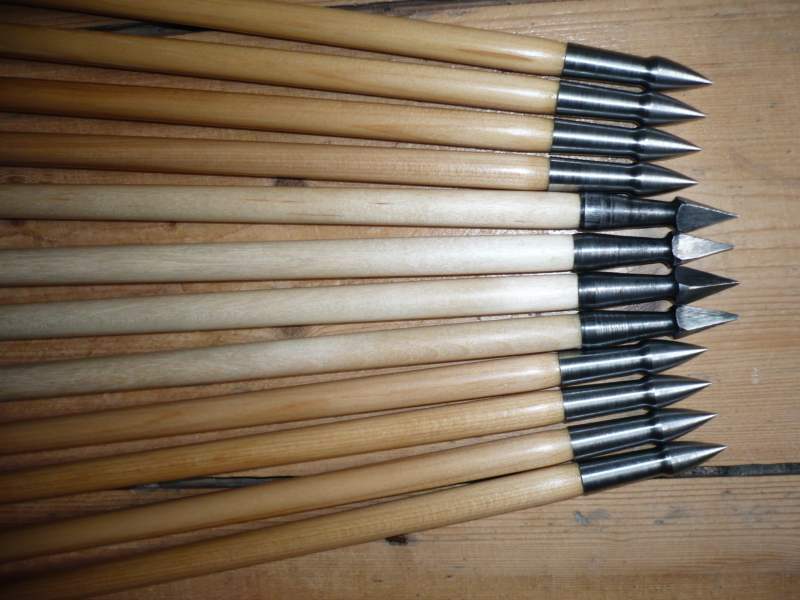 Bodkins are also available, as are some of the stranger and more curious heads, like sail tearing/small game heads and firebaskets. 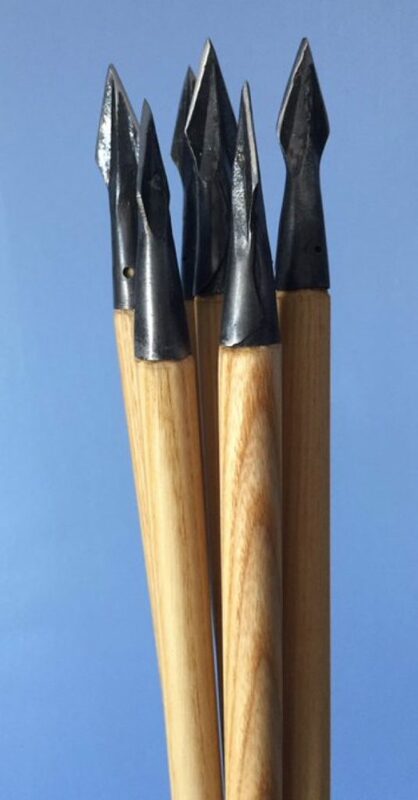 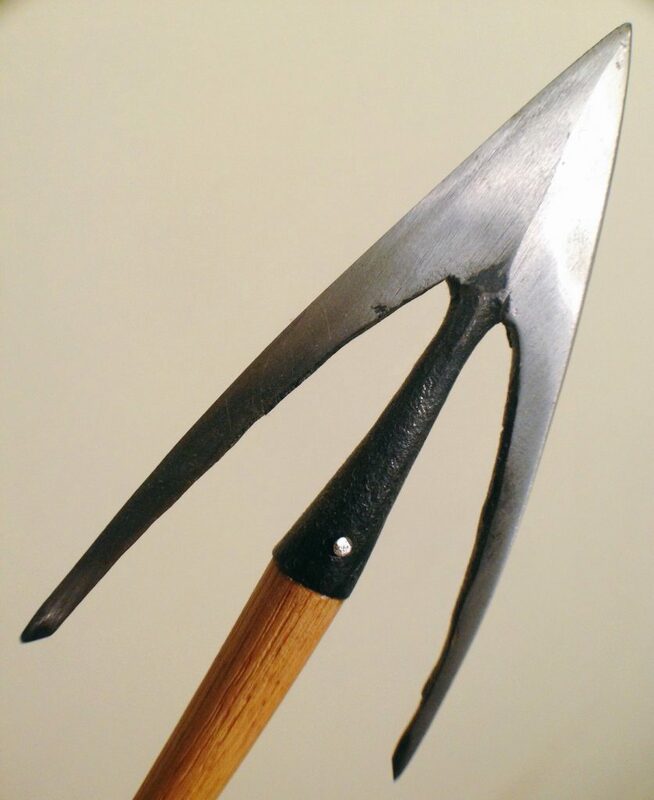 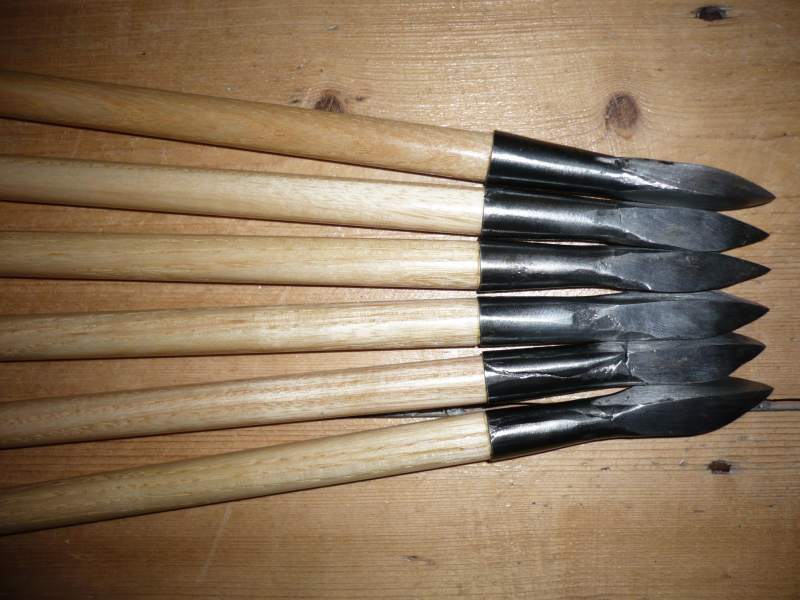 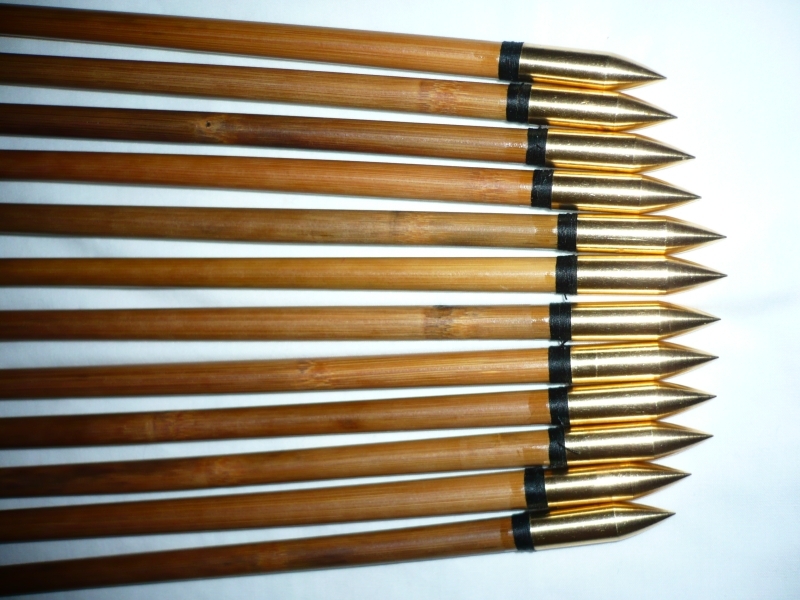 Hand forged arrowheads are often demanded by organisations running shoots, like the English Warbow Society, and we can get hold of any design either in a rustic style (pretty much what your average archer would’ve been shooting) through to the most beautiful works of art you can imagine. 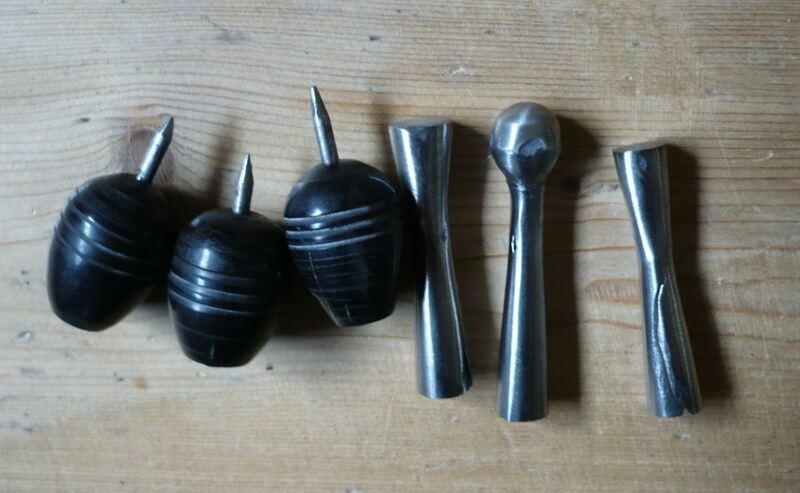 Cost is the only limiting factor here, as hand-forged heads don’t come cheap. 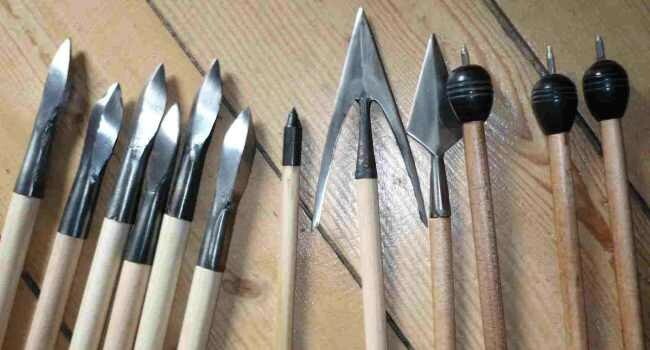 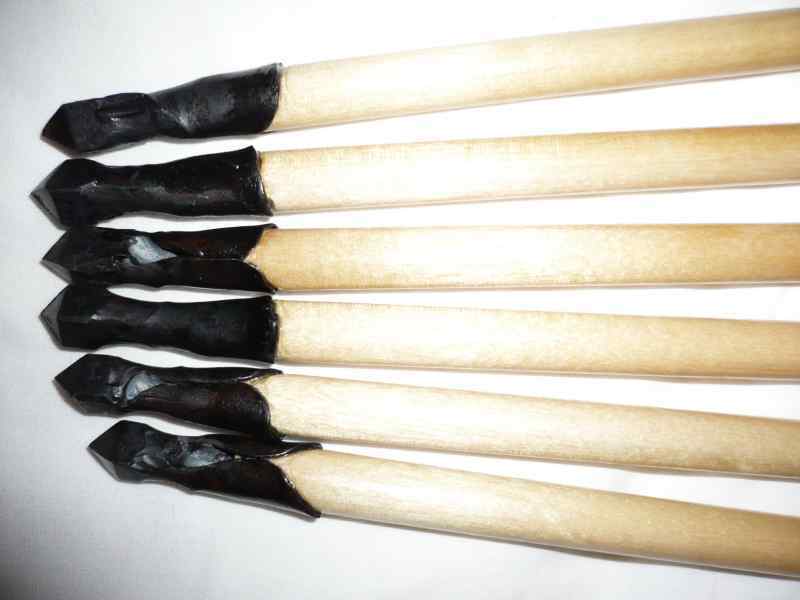 So whether it’s a shooting arrow, or a museum piece – we can help.